Excuse me, Can I play through ? 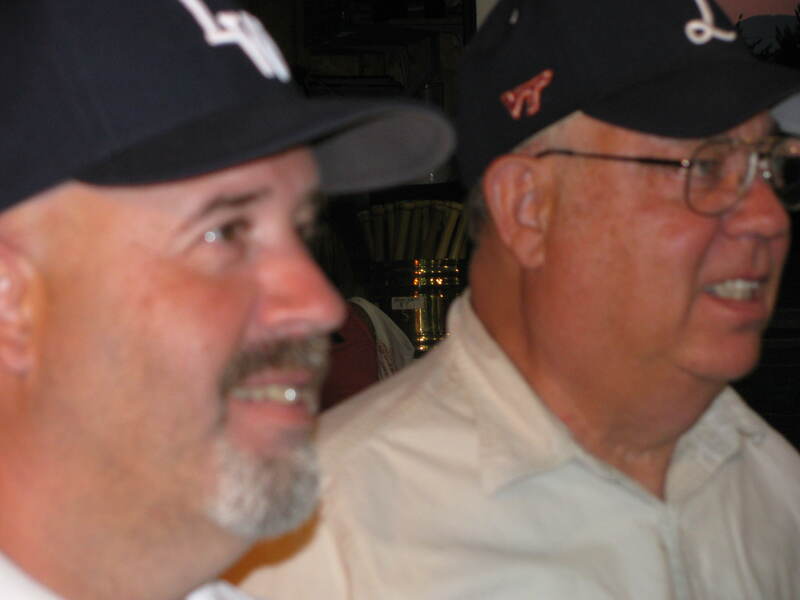 Coach Alan Knight (L) and Bill Meade after the tourney. Coach fired a 38 on the back nine to capture 1ST place! Owner for the Night Dennis Cerrie hitting from a fairway bunker. Water, Trees and Mountains - What more could you ask for ? 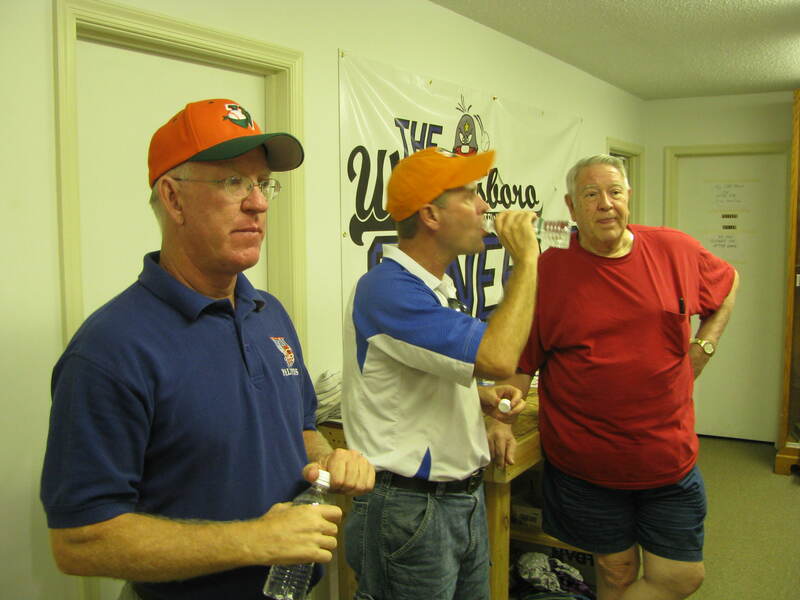 Mickey, Roger & Charlie Beck before the 7TH inning stretch. 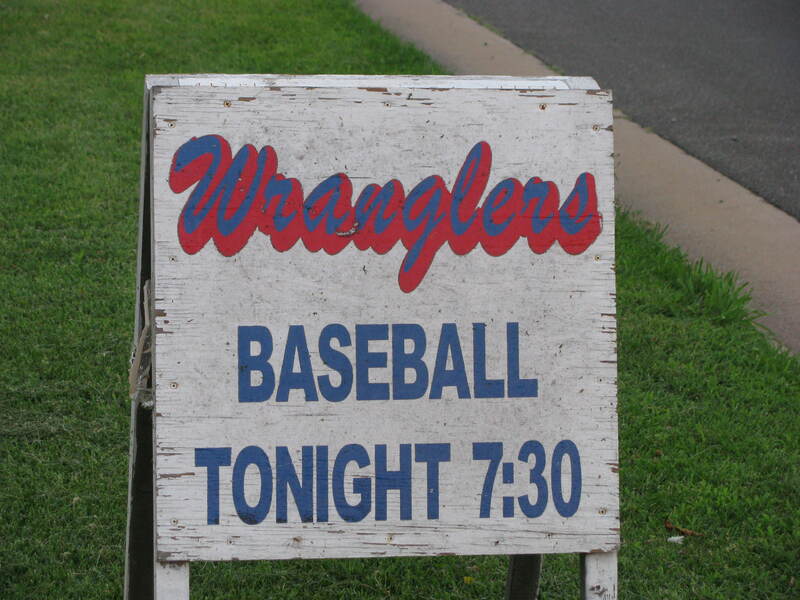 On the 18TH Night the Weather Gods said Let the Wranglers play at home! 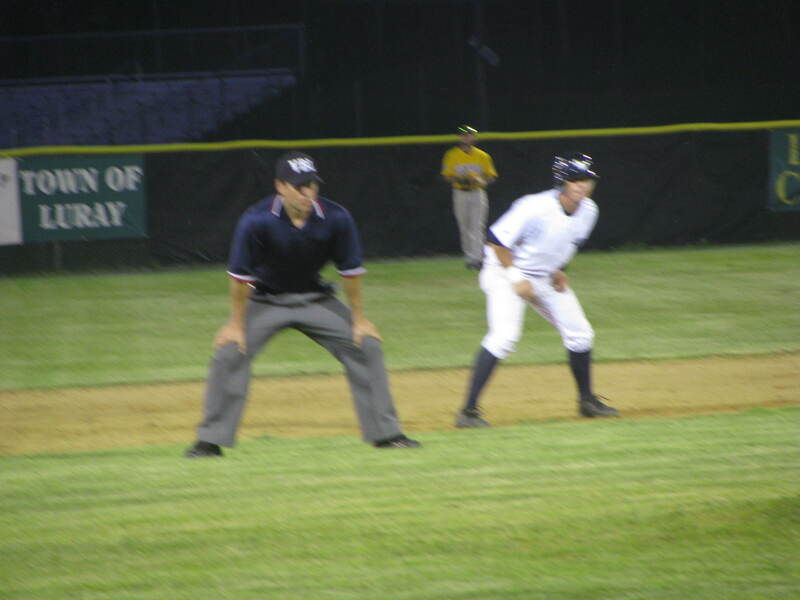 Looking to make a break for 3RD base. 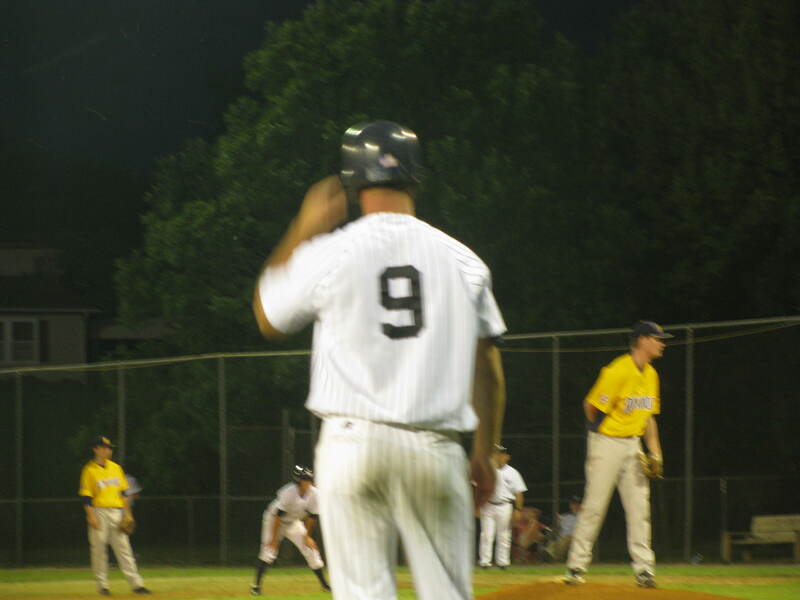 Tonight was the 18TH night of the 2009 Valley Baseball League schedule and it was the FIRST night that the defending Champion Luray Wranglers were able to play a game at Bulldog Field. 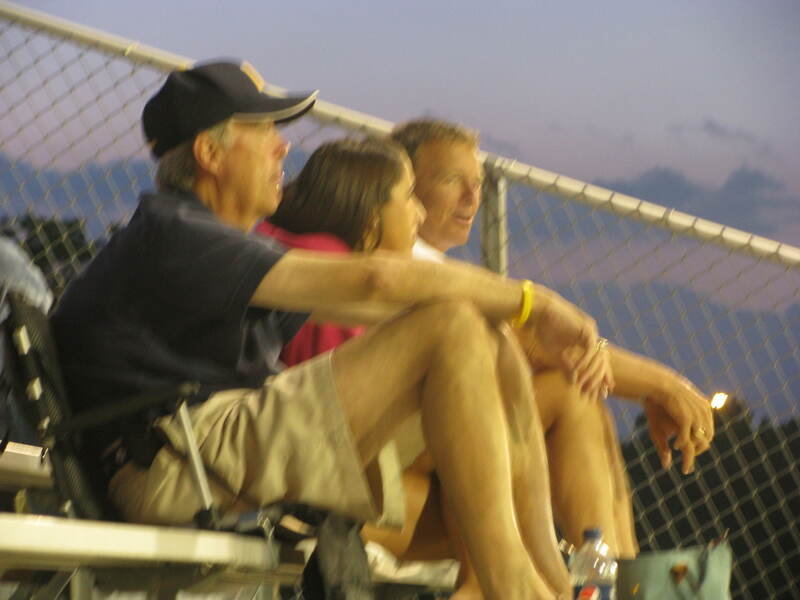 The combination of bad weather and even worse timing of the storms had forced Bill Turner to push back five separate home games and one of the five was pushed back twice. 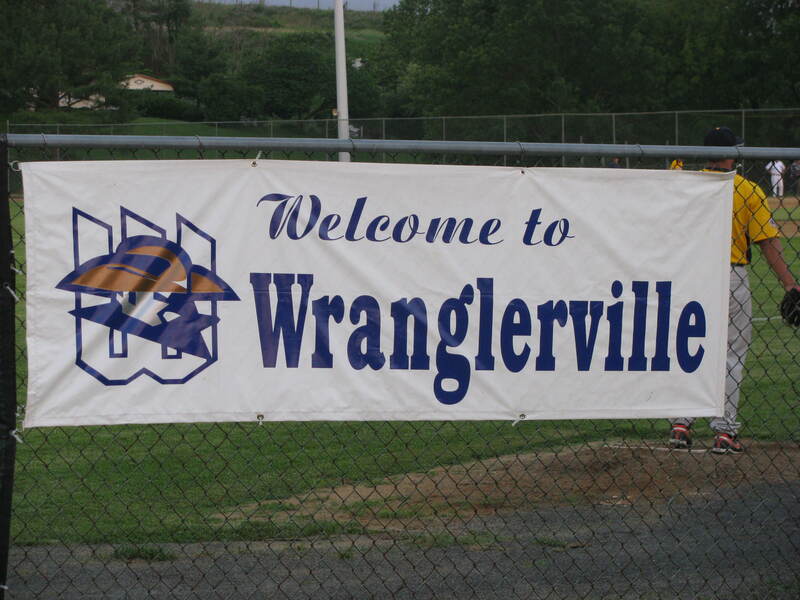 Try, Try again and it finally paid off for the Wranglers as they welcomed the Rockbridge Rapids to Page County for the very first time. Don’t fell to bad for the road Warriors though as the team captured 6 of 9 while playing on the road. Any team playing baseball at any level would take a winning percentage of .667% on the road. Do you think we could try this during a game ? 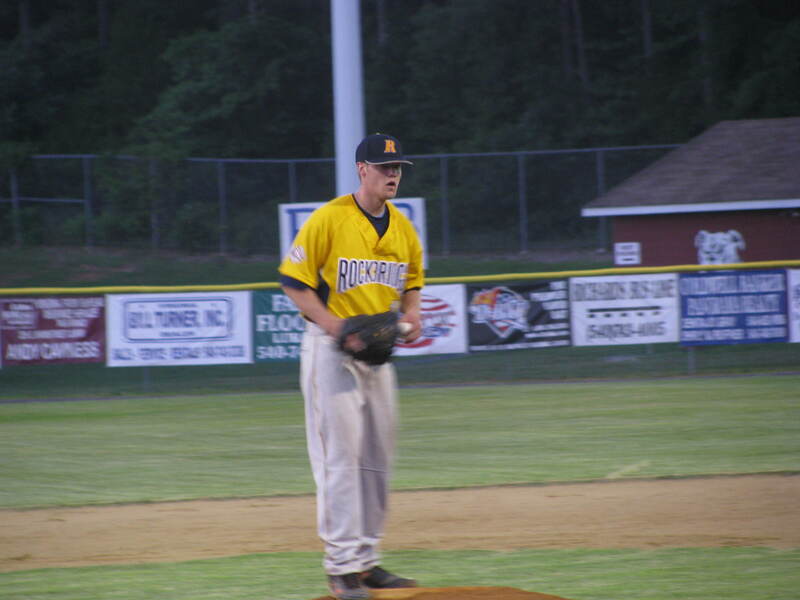 Ricky Marshall on the mound. Welcome home John! John S in the park for the 1ST time this season. Kurt Davidson warming up the Troops. Saturday Night Baseball @ The Fish ! While the homestead back up in Luray got hammered with another storm, the Fish remained water proof. 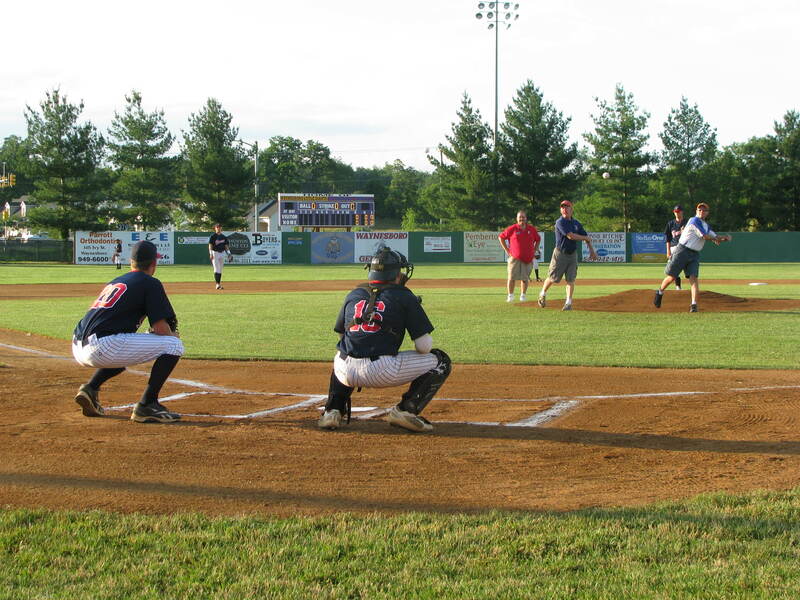 We are moments away from 1ST pitch for tonight’s game vs. Rockbridge. The Generals dropped to 7-4 on the season with a 5-2 loss to the Front Royal Cardinals in Valley Baseball League action Friday night @ The Fish. 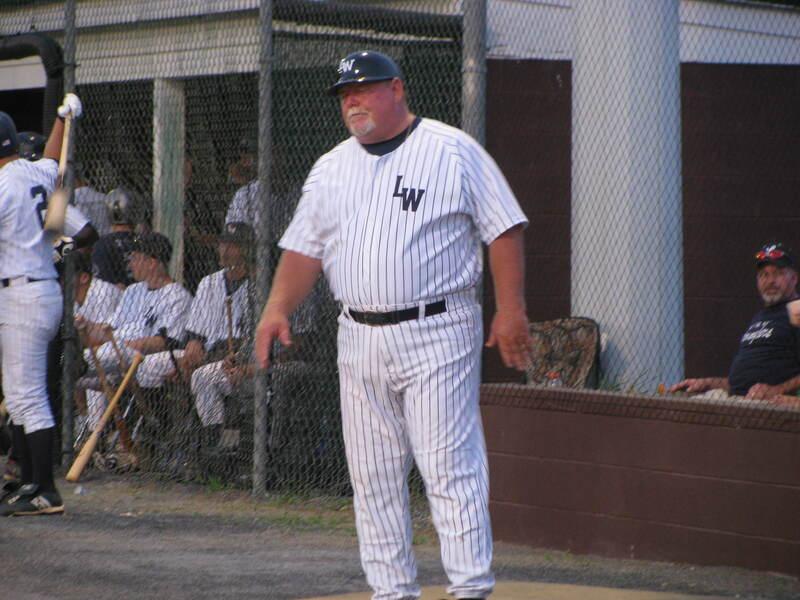 Long time Valley Baseball League supporter Gene Davis is the latest to become a valued member of Team Waynesboro. 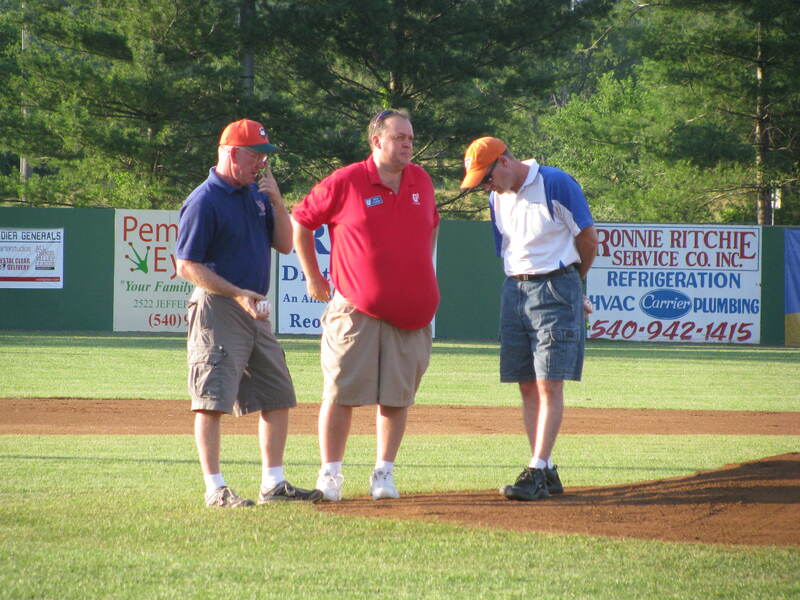 Davis is in his fifth decade of following the VBL and the CPA is currently involved with both Staunton & Rockbridge. 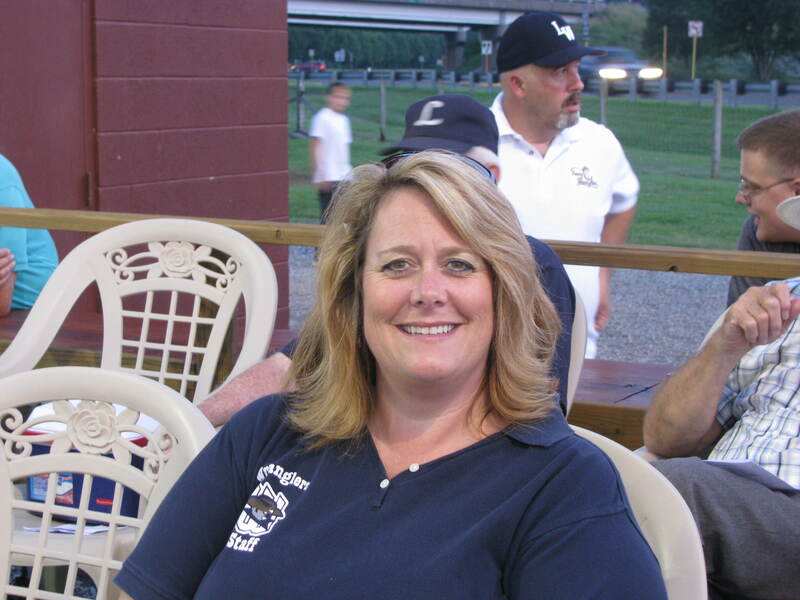 Davis joins the Generals as the offical number cruncher and will work with Attorney Jay Neal to continue keeping the i’s dotted and the t’s crossed.